Apples of Gold Jewelry's Swiss-Blue Topaz 8mm heart-shaped silver ring features a genuine heart shaped Swiss Blue topaz stone, which is AA rated and is sure to add plenty of charm to your day, no matter what the occasion! The .925 sterling silver ring has a lace-like pattern around the setting for the gemstone, and the Swiss Blue topaz is cut into a heart shape and sized at 8mm by 8mm, to give you the perfect amount of sparkle and color! 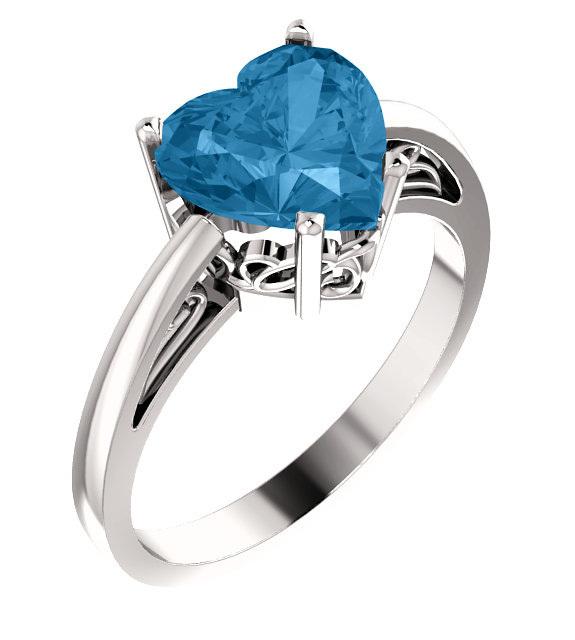 We guarantee our Swiss-Blue Topaz 8mm Heart-Shaped Silver Ring to be high quality, authentic jewelry, as described above.